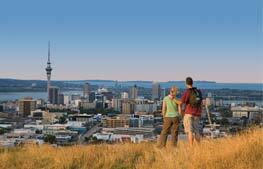 Private Auckland Tour where you are at the centre of the experience. Enjoy a full day tour of Auckland’s best sights with TIME Unlimited Tours, winner of multiple global awards including the National Geographic World Legacy Award. 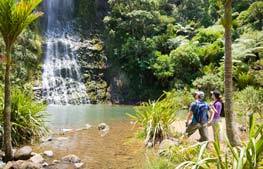 This tour typically takes in the best Auckland's famous Waitakere Ranges on our West Coast wilderness with its famous black sand beaches and subtropical rain forest. Discover dramatic cliff tops, stormy seas and unique black sand beaches. Enjoy a full day tour of Auckland with TIME Unlimited Tours, winner of multiple global awards including the National Geographic World Legacy Award. Be transported in one of their Luxury Vehicles where attention to detail and a warm welcome is what this company is renowned for. 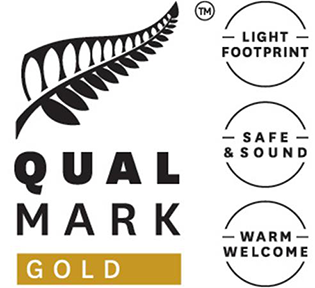 Enjoy their complimentary snack baskets with water bottles, tastings of iconic NZ foods & beverages and their iconic resource boxes, allowing you to use all your senses as part of your individual touring experience. 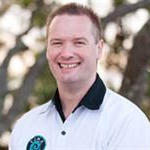 Explore Auckland in one of our luxury vehicles hosted by one of our local highly-knowledgeable Host-Guides. The day will be tailored to your interests to ensure the tour meets your expectations of a luxury experience! 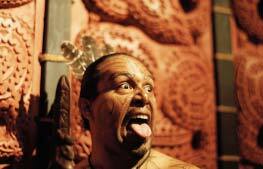 This tour typically takes in the best of Auckland's West Coast with its famous black volcanic sand beaches and rainforest. You can enjoy the tour in our luxury vehicles and visit among other things the most breath-taking views of dramatic cliff tops, stormy seas and unique black sand beaches on Auckland’s famous West Coast. Discover dramatic cliff tops, stormy seas, unique black sand beaches and much more of the famous ‘Wild West Coast’ of Auckland. Here, too, we really get away from the crowds and you are able to visit what we consider the most beautiful of all our famous volcanic black sand beaches! Soaring cliffs, roaring surf and spectacular, volcanic black sand beaches. 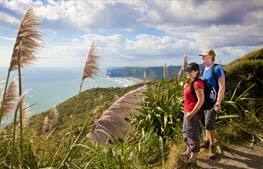 We visit the most stunning of all the black sand beaches on Auckland's famous West Coast! Ancient native rainforest including our New Zealand Christmas Trees (Pohutukawa Trees) and our famous Kauri Trees. Optional Lunch Inclusion: Note this is a high-quality café/restaurant lunch - $40 pp and MUST be confirmed at time of booking.